The VR experience is based on the classic story Jack and the Beanstalk, but the premise was the only thing that Jack had in common with the fairy tale. The setup was strange. I surrendered my bag and my jacket to the wooden post outside the room I was supposed to walk into and slipped into a backpack with the VR rig inside. I had no idea what was waiting inside for me. All I knew was that this was the Must See experience at the festival. Given Baobab’s exceptional track record with VR — two Emmy awards for INVASION and more recently, Asteroids — there was a good chance that it was going to be interesting, if nothing else. I kept waiting for someone to hand me a couple of controllers. Instead, I was ushered into the room without any means of interacting with a digital space. At first, I did my best to take in my cartoonish surroundings, not paying much attention to where I was walking. I hit my head on a light-bulb hanging on a string, which may as well have been akin to a figurative light-bulb switching on inside of my cranium. “Oh, this is all real,” I murmured to no one at all. And it was. Well, about as real as mixed reality gets, anyway. I walked over to the far end of the room where a hot plate burner was running and a kettle was sitting idle. I picked it up and placed it on the burner, where there was quite clearly some kind of heat source concentrated in that area. I walked back across the room, bumped my head on the same damn light-bulb (because it still hadn’t sunk in that my virtual world and the real world existed in the same capacities), only to be startled by a voice and a physical presence in the room with me. I suppressed a yelp. In virtual space, she was a frog and clearly my character’s mother. I was speechless at first, unsure of how to interact with this Frog Mother. Would she respond to my input? Was this partially scripted or fully improvised? She asked me a question. I settled for silence. But she handed me a broom that I wasn’t sure what to do with, as if it were the first time I’d ever seen a broom or used one. But in this bizarre mashup of virtual meets reality, I was apprehensive. I took the broom, like a good Frog Child, and swept the virtual (and actual) shack. “Oh Jack,” she said, beckoning for me to sit and listen to her. Oh right that’s me, I thought and hastened to sit on a three-legged stool near a radio. She proceeded to tell me all about her most treasured possession — the radio right next to where I was sitting — and how I needed to barter with the trader coming to visit our shack. Frog Mother had to go fishing so we would have something to eat. It was my responsibility to make sure I got the best deal I could for the radio. Frog Mother didn’t like that response. She admonished me and told me that she won’t always be around to take care of me and that it was time for me to grow up. This made me frown. No one has ever told me that I need to grow up, not even my meatspace parents. But I nodded, took the radio in my hands, and waved goodbye. It would be entirely on brand for me to trip, fall, hurt myself, and potentially break something in a mixed reality experience. I attempted to skillfully barter with the jocular trader as she docked her airship at my balcony, but was distressed when all I was offered was this strange magic bean. I mean, I told her that my mom would be so upset if her prized possession only netted a bean… but the trader was adamant that it was the bean or a rusty fork. So, I took the bean. Frog Mom was very unhappy with me. It hurt a little to have done my best with trading and have it not be good enough. I protested vociferously, reminding her that it was either the rusty fork or the bean. “And mom,” I found myself whining, “it’s magic. Come on, let’s see what it does.” She threw it out the window and I pouted. At almost 32, I pouted like an eight-year-old and sat back down on the three-legged stool, feeling hurt and a little huffy. Until the special effects wind and rain started, that is. The virtual room began to rumble and fall away, wind howled around my head and whipped at the objects in the room. It was hard to suspend disbelief when I knew that the room around me was actually okay (and firmly in reality), but experiencing those mixed reality effects made me grin. I lost sight of being Jack and was myself again, standing in the middle of the room, bumping my head on a light-bulb for a third time that day, and marvelling at the technology (and showmanship) required to put on such an engaging show. I had the opportunity to catch up with Jack’s director, Mathias Chelebourg, and one of Jack’s producers with Baobab, Kane Lee, over the phone after the Tribeca Film Festival wrapped up. Chelebourg’s enthusiasm was palpable, even over the phone, especially as we talked about why he chose “Jack And The Beanstalk” as a vehicle to tell this particular story. It’s a story that’s hundreds of years old, rife with conflict and wonder. And while he could have used any fairy tale to bring his vision to life, he liked Jack. Chelebourg acknowledged that it was a difficult task, bringing theater and virtual reality together. The project team worked on an accelerated deadline so that they could bring Jack to the Tribeca Film Festival, collaborating with Baobab from Paris starting in September 2017. Chelebourg considers Tribeca Film Festival to be the most innovative film festival in the world, which is part of why Baobab wanted to make sure that Jack planted itself in the VR arcade. 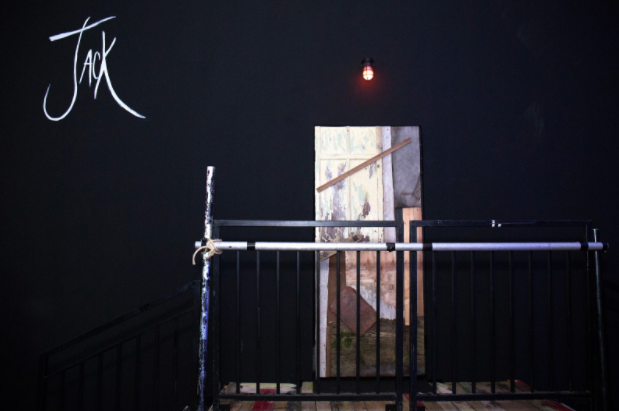 Lee pointed out that it was difficult to live up to the Baobab ethos of bringing the best virtual reality experiences to everyone in the world when the installation could only accommodate one person at a time. But he reminded me that the reason why they wanted to work with Chelebourg in the first place was his creative vision, so they’re not sure about licensing Jack out to theaters or theatrical production companies. They’re in the process of exploring distribution options for Jack, but nothing’s concrete at the moment. Instead, they’re focused on ensuring that Jack will continue to be the singular experience that it was at Tribeca Film Festival. Part of the plan involves tapping Academy Award-winning actress Lupita Nyong’o to play the Giantess in an upcoming episode for Jack. Both Lee and Chelebourg were almost gleeful with the promise of collaborating with such an acclaimed actress. And while there’s no confirmation as to whether or not Nyong’o will be available to physically participate in future performances at festivals, she’ll be lending more than her voice to the production itself. 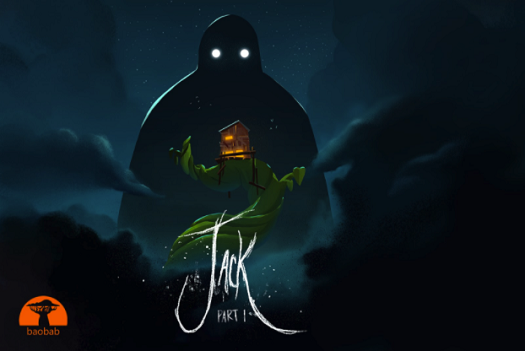 Jack is a fully immersive experience, straddling the virtual and physical worlds in a way that I’ve never seen before. Chelebourg’s gift for visual storytelling and emergent narrative is stunning. Baobab’s eye for talent is equally astounding and the indie studio may very well see another Emmy under its belt by this time next year. More than anything, I’m truly excited to see what Part Two of Jack will look like. This article is a preview of Greenlit Content's upcoming industry site, launching soon.